Your phone is a personal item. You don’t want other people to access to your information, naturally. Until recently, mobile phones were not seen as a threat to privacy. Now they are. Reason being that we literally carry every piece of important information. From social media accounts to banking activities. A compromised phone is a nightmare, an unimaginable chaos can occur if your information falls into the wrong hands. Enough scary thoughts, the good news is that due to advancement in encryption and security techniques, your information is reasonable safe. But in order to deter a potential hacker, who is an expert in breaking into mobile devices or hacking into apps, some manufacturers have created advance security apps. 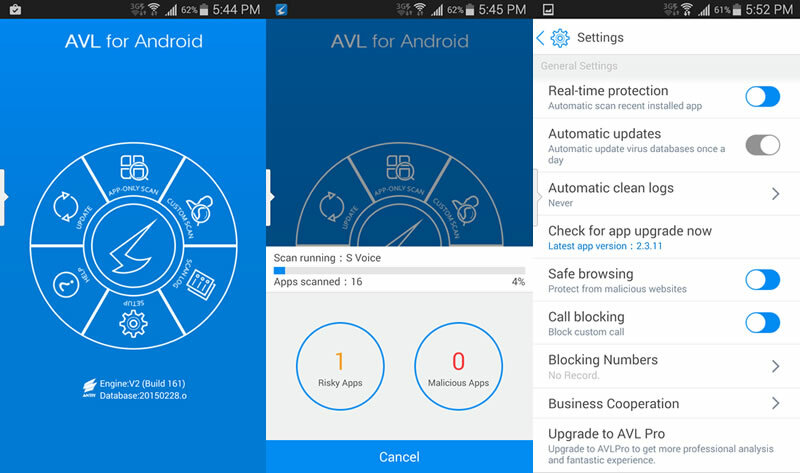 These apps make your phone from reasonably safe to absolutely impregnable. Avast is a giant in anti-virus and online security. 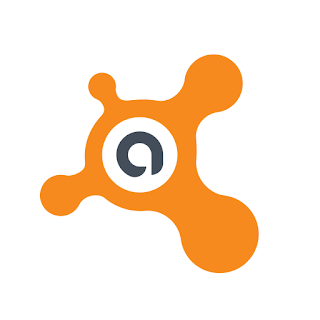 One of the earliest and oldest manufacturers of anti-malware software, Avast is very well respected name in the industry. Avast has now created a perfect security app for Android users and the best is, it is completely free. If you are using a rooted device, you have access to a firewall through which you can manage network traffic. You can even block internet and Wi-Fi for certain apps which is always very handy. 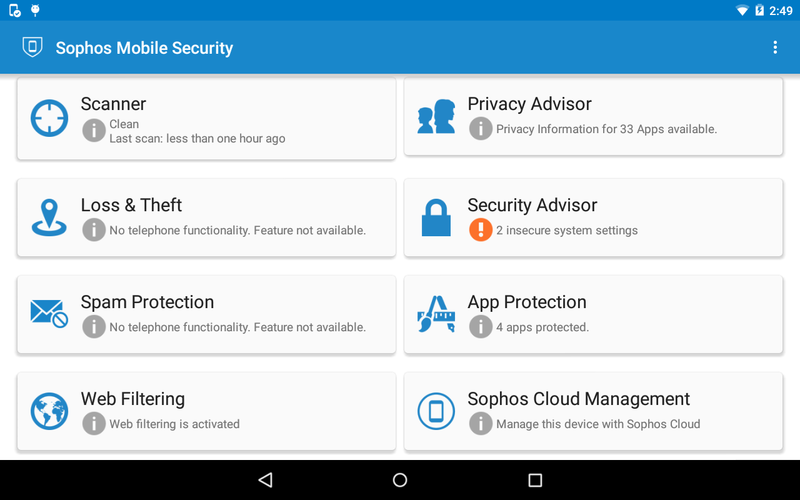 There are hundreds of Android security apps out there but you will find it very hard to come up with a better one at Sophos. Like Avast it offers a wide range of features and customization and it is completely free. Sophos has a 100% detection rate for malware in real time. There is even web filtering and a built-in password protection app. 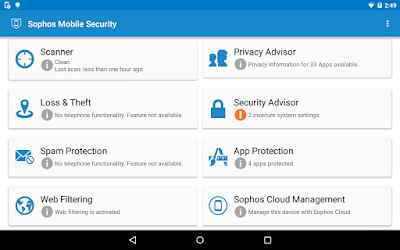 You will sleep better if you have Sophos installed on your Android device. Admittedly, I don’t really like the interface but as long as it does a bang-up job. Sophos is highly recommended. Some people, in fact most people are looking for a simple malware protection and that is all. Most of us don’t want extensive features such as anti-theft, id protection, IP blocking etc. If that is the case then AVL is the best option for you. The app specializes in malware. It is designed to be light, fast and efficient. Avira has passed all the tests and returned with high detection and 0 false positives. The free version of this app is trustworthy. Like AVL, Avira is lightweight and fast. It scans your phone on regular intervals and also scans every now app you run on your Android phone. 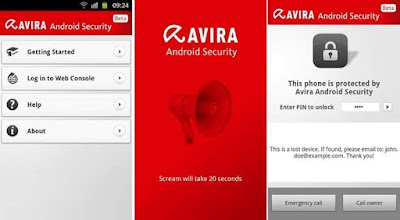 Avira offers extensive plan for Android security, features such as anti-theft and ID-lock are present. There is a paid version as well that offers more features and quick support but free version is enough for mist people. 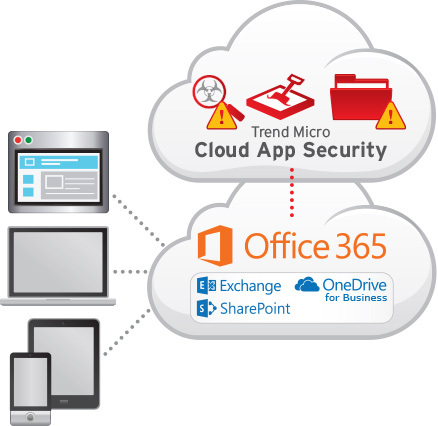 During the last two years, Trend Micro has scored a whopping 99.9% in malware detection rate. Trend Micro is another excellent app that doesn’t have an effect on your battery life. Apart from this there is protection from phishing sites, a detailed scanner for social media sites such as Facebook and Twitter. There is a very helpful plugin included called “Just-a-Phone”, one tap and it kills all the apps and processes running in the background. 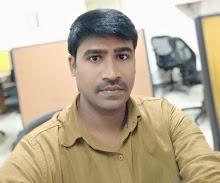 Author bio: Nuur Hasan is a software developer, web developer and a technical writer with more than seven years of experience.